At the law office of Barry Simons we review the blood alcohol analysis and the blood draw procedures to determine if there are any viable defense strategies that could win your case. A blood draw as a result of a DUI arrest is considered a search of your person and an invasion of your skin by a needle inserted into your vein. At the law office of Barry Simons we thoroughly review the blood draw done in your case to determine if your rights were violated. If you are concerned about the blood results or the blood draw please contact the Law Office of Barry T. Simons. We are able to conduct an independent analysis of the blood results to determine if the original analysis by the Crime Lab had errors that could have generated a faulty result. We will submit a sample of your blood taken at the time of your arrest to our own independent lab for re-analysis. We also check the levels of potassium oxalate and sodium fluoride in the sample to insure that there was sufficient preservative and anti-coagulant to avoid contamination or clotting of the sample. We routinely have the blood sample cultured to determine if there is any bacterial growth in your blood which could demonstrate contamination or fermentation. In addition, we will review the maintenance and calibration of the device that was used to test your blood and check the run sheets from the gas chromatograph for quality assurance. A re-test of your blood could, and often does, show a lower blood alcohol level than the Crime Lab. This could be critical if your blood alcohol level was at or near the 0.08% threshold level or, the 0.15% enhancement (requiring a 6 month alcohol program) or the 0.20% aggravated enhancement (requiring a 9 month alcohol program). 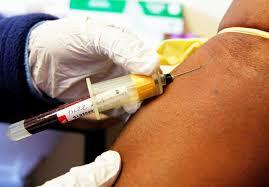 W e can also review a blood result and determine whether you have any other defenses such as an unlawful blood draw. Suppression of your blood results could result in a dismissal of your entire case. If your blood draw was a result of a forced blood refusal we have many strategies and techniques to review this potentially unconstitutional procedure and determine whether the arresting agency acted lawfully or whether you may have a defense to claim your Fourth Amendment rights were violated. Many people believe once they give their blood that the DUI case is over. At the law office of Barry Simons we look at blood results as another piece of the puzzle in a complicated and technical criminal matter that can become very difficult for a prosecutor to prove. If your blood was drawn for alcohol analysis you may have a defense available that could prevent the prosecutor from using the results of your blood sample. We carefully review the process in which the officer sought out a blood sample and whether that sample could be compromised. It is possible the blood sample could have been illegally obtained. It is also possible that if your blood sample was not obtained within three hours from the time of the driving or if the sample was mishandled, the results or your blood could be wrong!!! YOU MAY HAVE BEEN ARRESTED UNLAWFULLY. If the arrest was not proper prior to your blood draw, you may be able to disallow a prosecutor from using any observations and answers obtained from you in addition to the blood sample that was taken. We have the experience to review the police report and other evidence relating to the officer’s opinion that there was probable cause to believe you were driving under the influence or driving with a blood alcohol level of .08 or more. Many times the officer did not actually observe what he writes in his report. We carefully review all evidence available to verify the arresting officer. If there is a contradiction in a video or audio recording of the events that led to your arrest, we would use that evidence to try and win your case. Field Sobriety Test results are another factor officers and prosecutors rely on to prove impairment. Again, a video may show the officer exaggerated the results of your field sobriety tests or improperly instructed you on how to perform the tests or improperly graded you on your performance. Discrediting the officer’s opinion about your sobriety and your performance on the field sobriety tests is an important way to defend your DUI charge at trial or to demonstrate that your arrest was not based on sufficient probable cause and that your arrest was improper. If the officer’s decision to arrest you is questionable then the entire case could be dismissed. An unlawful or improper arrest could result in the illegal evidence such as a subsequent breath test and blood test. After you are placed under arrest an officer MUST give you an ADMONISHMENT or an option for a chemical blood or breath test. As a California license holder you have given your implied consent previously to submit to a chemical breath or blood test if you are arrested for a DUI. THAT DOES NOT MEAN THAT A BLOOD SAMPLE IS ALWAYS OBTAINED LEGALLY. An officer must give you an option for a breath test or a blood test unless they have reasonable cause to believe that you are under the influence of drugs or the combined influence of drugs and alcohol. This option is important because if blood was demanded from you, and you were not given a choice, the subsequent issue becomes whether the officer obtained a warrant to obtain your blood. In rare cases, you may not be an appropriate candidate for testing because of a medical condition and the officer must then offer you a urine test. A violation of your 4th amendment right protecting you from unlawful searches and seizures could result in a suppression of the evidence obtained from an illegal blood draw. An arresting officer for a DUI may have coaxed you into getting a sample or explained to you that a breath test was not as reliable, or it is not saved for further analysis. Still, if you are not given the option to do a breath or blood test then the blood sample that resulted could have been obtained unlawfully. Mr. Simons successfully litigated this issue all the way to the United States Supreme Court in the case of Nelson v. City of Irvine. We carefully review the procedures taken by your arresting officer and determine whether your blood sample was a violation of your rights. If a law enforcement officer or prosecutor determines that your lack of choice for a chemical test was a refusal you could be subject to a number of consequences including possible jail time and a longer alcohol program. If a refusal did occur and a blood sample was taken, your attorney will review whether a warrant was obtained and if that warrant was supported by sufficient probable cause. Under very recent United States Supreme Court decisions there is now a great deal of conflict about whether there is a right to refuse chemical testing for DUI. Many believe that the McNeely case which requires a warrant for a non-consensual blood draw implies a right to refuse a blood test. This concept was reinforced by the United States Supreme Court in its recent decision in Birchfield which held that there was no right to refuse a breath test in a DUI case and distinguished the nature of the intrusion between breath testing and blood testing. DUI arrestees who now submit to blood testing because they are told by police that they must do so may have valid challenges under the fourth amendment and under implied consent if they refuse. If you refused to give a chemical sample and a blood sample was taken from you, then we must review whether the blood sample was taken lawfully. There must be a warrant obtained by the officer before the blood draw. The warrant must be properly executed by the arresting officer. You must be read your legal rights and the consequences that result from a refusal before the blood draw takes place, and you are deemed by the officer to have refused to a chemical test. Many times, people are not properly informed of their rights or the consequences of the refusal. Improper admonishment could result in the suppression of your blood alcohol results. These are critical issues which must be raised at your DMV Admin Per Se hearing to prevent a one year license suspension. Once you are given the refusal admonishment, you understand the explanation from the officer, and you still choose not to give a chemical sample. You still may be able to argue the blood sample was not obtained lawfully, if it was not a reasonable blood draw. The United States Supreme court has very recently said that a blood draw for a DUI is an extremely invasive procedure. The needle inserted into your vein has been discussed as equal to an intrusion into your home by law enforcement. Just because you agreed to a blood draw, or the law enforcement officer obtained a warrant for a refusal, the blood draw may be unlawful if it was not completed in an accepted medical procedure. Our Law Office is skillfully trained to review with you whether your blood draw may have been obtained unlawfully because of unsanitary practices, the sample was taken by an untrained phlebotomist, or the method in which the blood was obtained could have caused you to be at risk for pain, infection or ruined the sample altogether.